Karbonn Mobiles is set to launch its latest offering – Titanium Jumbo 2. 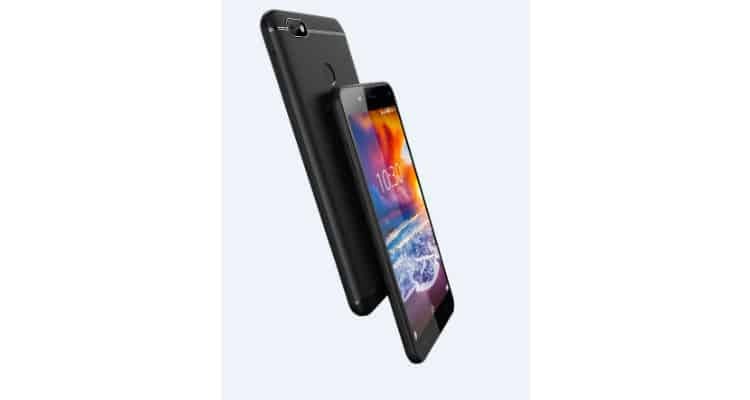 Bundled with Airtel cashback offer of INR 2000, this smartphone will be available at an effective price of INR 3,999 on Amazon.in. As the name suggests, Titanium Jumbo 2 is a power-packed smartphone with Jumbo features and specifications which has been specially designed to break the clutter and create a distinctive stature in this respective smartphone category. The USP of this smartphone is its powerful battery of 4000 mAh that promises a standby time of up to 400 hours and talk time of up to 16 hours. Titanium Jumbo 2 comes with a big display screen 13.97 cm (5.5 inches) screen with HD IPS full lamination 2.5D curved display for a visually appealing and captivating vibrant screen, giving it an excellent visual appeal and a secure smartphone experience. The smartphone also has fingerprint sensor which comes with brilliant utilities like scroll images, notification bar access and privacy. It is powered by 1.3 GHz quad-core processor with a 2 GB RAM, 16 GB ROM, 64 GB expandable memory and a dual sim option for seamless multitasking and fast processing. The 4G smartphone comes bundled with a monthly pack of Rs 169 from Airtel offering 1GB data per day and unlimited calling – both Local and National. This 4G VoLTE smartphone comes with an 8 MP front camera perfect for all your selfies that will always be to the point and a 13 MP rear camera with LED flash combining options like Panorama shot, continuous shot and face detection for consumers to capture all their moments with great picture quality. Equipped with Airtel cashback offer and services, Karbonn’s latest offering is a delight for the consumers. Customers will need to make a down payment of INR 5999 for the 4G smartphone. To claim the cash refund benefit, recharges worth Rs 3500 must be done within the first 18 months (to claim the first refund instalment of Rs 500) and another Rs 3500 over the next 18 months (to claim the second refund instalment of Rs 1500). Titanium Jumbo 2 comes in three elegant colours- Black, Champagne and Coffee with a unique painting finish and a premium metallic back panel. Karbonn Introduces Titanium Jumbo 2 0 out of 5 based on 0 ratings. 0 user reviews.